Hong Kong has been called the city that never sleeps, and it’s a phrase embodied by the imposing neon lights that illuminate its streets until long after nightfall. 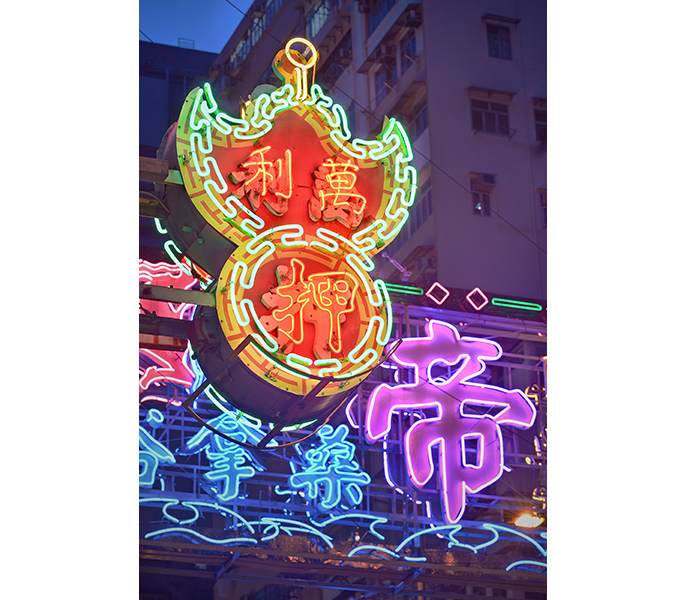 “Neon signs are a trademark of Hong Kong’s streets and cityscape. 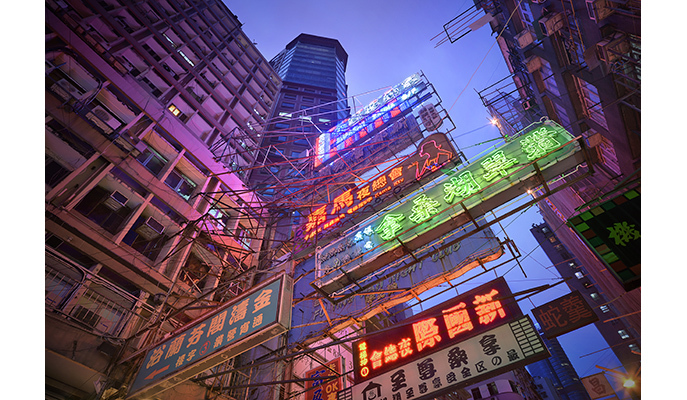 They are deeply rooted in the visual culture here,” says photographer Romain Jacquet-Lagrèze, who relocated to Hong Kong from his native France to shoot the brightly lit cityscape. But when the government deemed these neon lights unsafe and illegal, a process began of systematically phasing out these signs and replacing them with regular LED lights or illuminated banners. 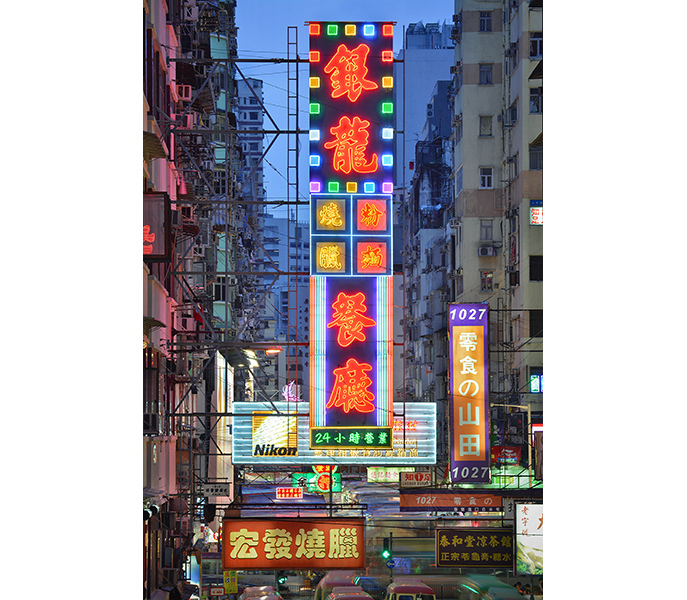 When the West Kowloon Cultural District (M+ museum) launched a crowd-sourcing project to gather photos of these neon signs in March 2014, Jacquet-Lagrèze heard about it. “I got quite hooked by it,” he says of the interactive exhibit that would celebrate these cultural icons on the brink of extinction. “On top of that, M+ contacted me to take some photos that could become the [leading] photos of the project.” He commenced work in the spring of 2014, and has been shooting neon signs since then. While there is no stopping the government’s plan to phase out these neon signs, Jacquet-Lagrèze’s enthusiasm shows no sign of waning. “I see these signs as a record of what used to make Hong Kong so unique visually,” he says. Through his photographs, he hopes to preserve the memory of the city’s bright lights for many generations to come.